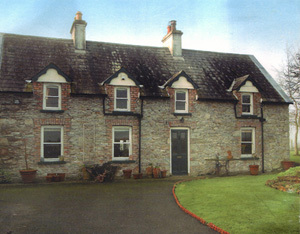 For painting holidays & art classes in Nenagh, Tipperary, you have come to the right place. Situated in a scenic area of Ireland, we offer painting weekends, painting classes, dancing the rainbow weekend workshops and reiki and reflexology treatments. 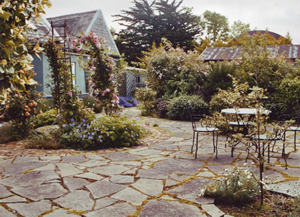 The Art and Healing Centre is nestled in the heart of Ireland, in North Tipperary. It is a peaceful spot, the perfect setting for connecting with nature and relaxing away from it all. See art classes for more information. Check out our package weekends. Painting Weekends are run throughout the year. Weekdays can be arranged by request. Please contact the Centre for available dates.. Combining this knowledge and experience with her love of colour and her desire to find ways to unblock our creativity Marie came across work called Dancing the Rainbow. In 1998 Marie commenced a two year training course in Dancing the Rainbow and qualified as a facilitator in 2000. This work involves working on the chakra system through dance/movement, colour and aromatherapy. She has given workshops in a number of centres in Dublin, Ireland. Dates can be arranged by request. Marie became interested in Reiki in 2001 and was initiated into Reiki 1 and 2 in that year. In 2005 having been working with Reiki since 2001 Marie was initiated into Level 3/Master Level Reiki. Also Marie has been initiated into Seichem Levels 1, 2 and 3. In 2008 Marie decided to train in Reflexology. She found the Irish School of Natural Healing in Portlaoise and enrolled in their 14 month training course. In October 2009 she received her Diploma in Reflexology. During her training Marie treated many women and men gaining wide experience and building her confidence as a Reflexologist. She now includes Reflexology in her work in the Art and Healing Centre and is delighted to be doing the work and with the response she is receiving. Reflexology treatments are available by appointment. Contact the centre now, for more information. 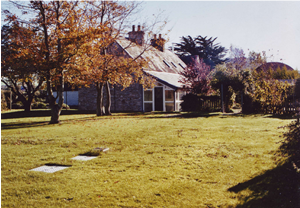 The Art & Healing Centre was opened in early October 2006 by Marie O’Sullivan, artist and complementary healer. Marie has been sketching and painting since she was a child. Marie taught painting in her studio (The Redwood Studio) in Dublin for 21 years before moving to Tipperary. Marie studied Art Education in NCAD 1979-1984. She exhibited her work on St Stephen’s Green in Dublin, the Ranelagh Gallery and various other venues over the years. In 1995 Marie became very interested in complementary healing. After learning Transcendental Meditation in 1996 her interest grew in our ability to go within and our potential to heal ourselves.